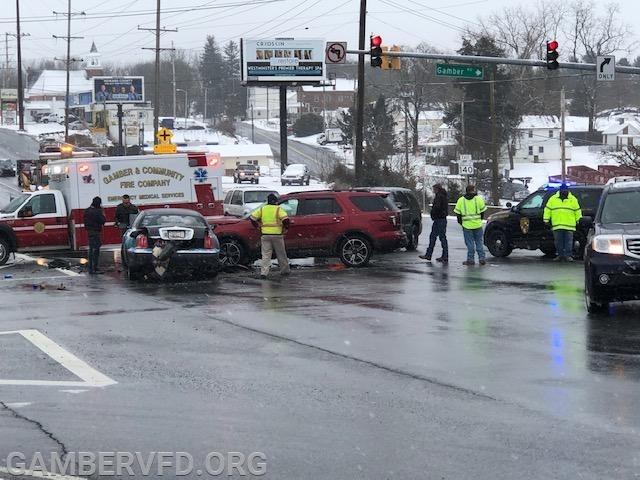 An early afternoon crash on Route 140 at the intersection of Route 91 resulted in response by Gamber & Community Fire Company's Medic 139. 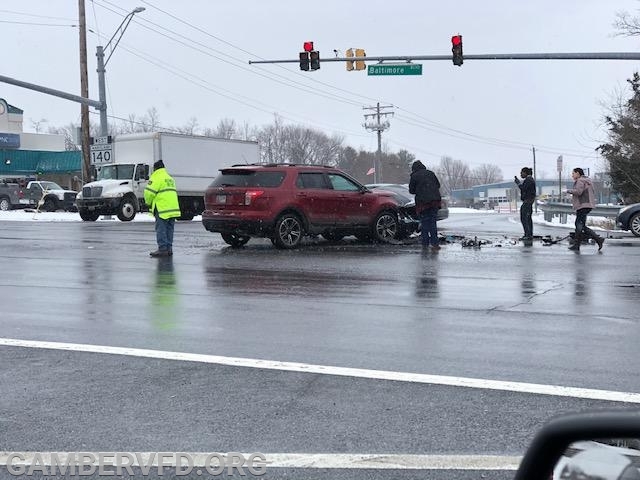 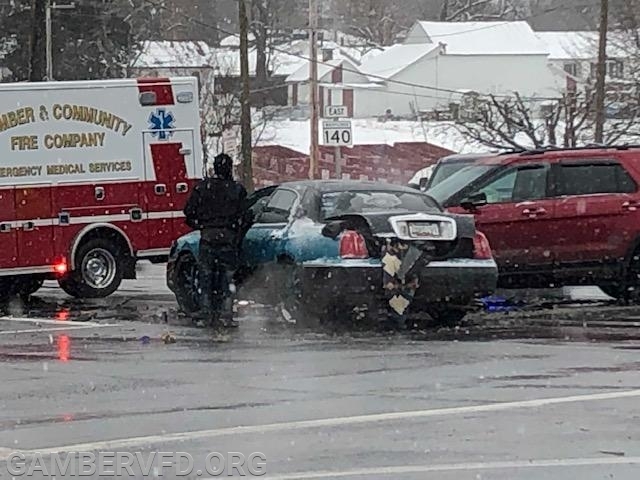 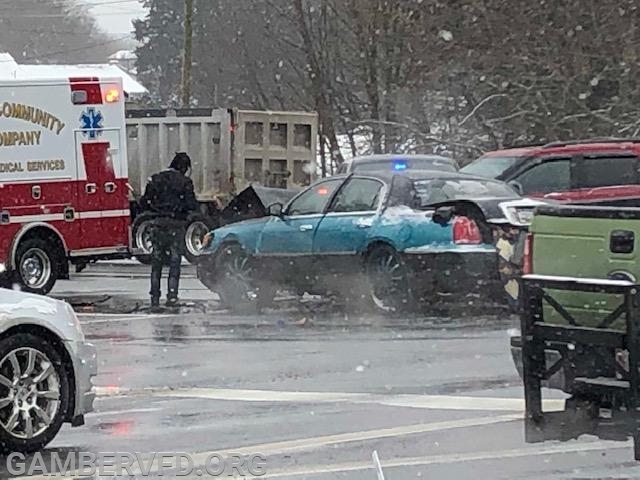 The incident on Friday, February 1, 2019, involved two motor vehicles in the middle of the intersection. 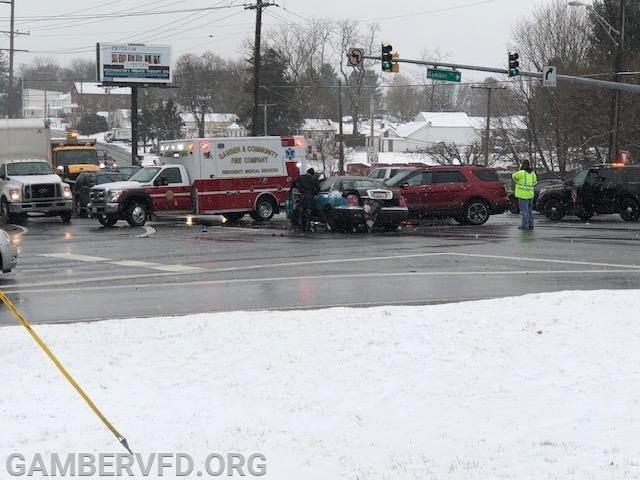 Units from Reese & Community Volunteer Fire Co. also responded on the call.